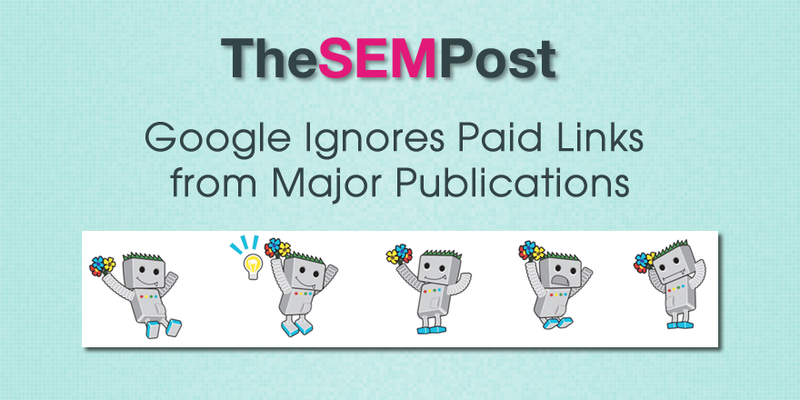 It has been a well known secret that some major publications, such as Forbes and Huffington Post, have authors who are using their status as a regular contributor to make money on the side by adding paid links within their articles published on those sites. And those authors make pretty good money from them, as links can range from a few hundred dollars on a smaller site to thousands of dollars on major publications. But do the links actually work? At SMX Advanced last week, Gary Illyes from Google commented on the issue, naming Forbes specifically, and said that those links are worthless. He also commented on the fact they devalue or ignore bad links, which reflects the changes we saw in Penguin, where Google devalues those links rather than penalizing for them. He also added that those sites buying links are throwing their money away. That said, sometimes those types of links can bring exposure, and links from other sites who saw the reference in the original article, which can be worth the money spent. But if bought for the exposure alone, then the links should be nofollowed to not run the risk of a link based manual action from Google. But if you are tempted to buy a link from a major publication for the SEO link value alone, there is a good chance Google wouldn’t be counting it as contributing value to your site.